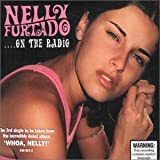 Furtado came to fame in 2000 with the release of her debut album Whoa, Nelly!, which featured her breakthrough Grammy Award-winning single I'm Like a Bird. After becoming a mother and releasing the less commercially successful Folklore in 2003, she returned to prominence in 2006 with the release of Loose and its hit singles Promiscuous, Maneater, Say It Right, All Good Things (Come to an End) and No Hay Igual. Also, in 2009 Furtado launched her own music label Nelstar Music and will introduce Toronto-based electro-dance band Fritz Helder & The Phantoms as the first act signed to the company.Furtado also says she wants to go on a new tour in the UK, and bringing out a new album.